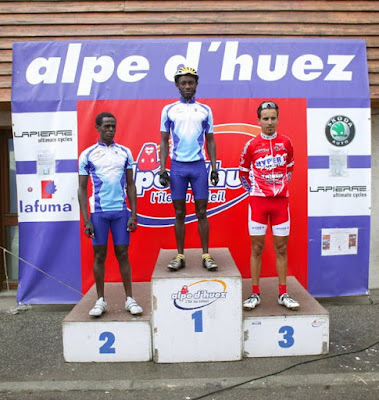 So these two Kenyan dudes came out of nowhere and overtook absolutely everyone on the race up Alpe d’Huez today. 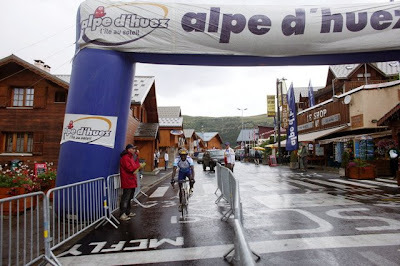 The weather wasn’t great, the road was kinda slippery, heck, our guys didn’t even know the race had started and had to half-scramble to catch up in the first two minutes. But they won. No formal training. No real prior experience. Zakayo Nderi and Samwel Mwangi are the talk of the town. And they’re only just warming up.